Turkmenistan has begun work on another grand highway project with a colossal $2.3 billion price-tag. Authorities have cast this as a game-changer that will supercharge the country’s aspirations to become a major international logistical and trading hub. And as state media has proudly pointed out, this is the first project of its kind to be done entirely by a local company and without outside help. Given the nebulousness of how Turkmenistan’s government operates, that will raise questions about how this vast sum of money is being spent and who is likely to profit. 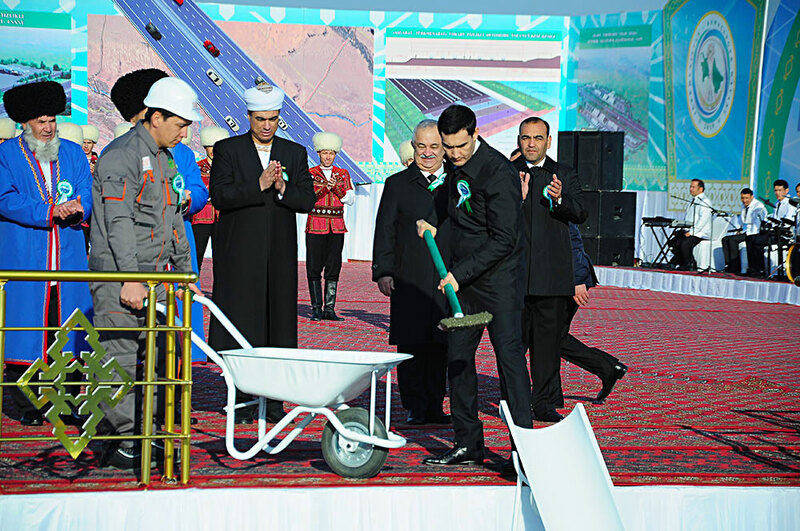 The January 25 ceremony to mark the start of work on the 640-kilometer road from the capital, Ashgabat, to the city of Turkmenabat, near Bukhara, was a characteristically bombastic affair. Trucks, cement mixers, cranes and earthmovers were arranged along the path of the planned road in a file so long that the last of the vehicles could barely be seen through the desert haze. Hundreds of young women in long, traditional red, green and aquamarine dresses waved the green flag of Turkmenistan or performed twirling dances on vast carpets. Dozens of men and women prepared plov and crumbly pastries for a televised demonstration of plenty. A jumbo screen displayed projections of what the road should like when complete: eight-lane dual carriageways equipped with speed meters and electronic boards displaying traffic information, huge interchanges and neat toll booths spread across a half-dozen rows. It is usually President Gurbanguly Berdymukhamedov who oversees such festive occasions, but he was notably deputized in this case by his son and presumed dauphin, 37-year-old Serdar Berdymukhamedov. The younger Berdymukhamedov was earlier this month appointed deputy governor of the Ahal province. Ahal is the native region of the ruling family and almost the entire senior Turkmen elite. In a key stage of the ceremony, Serdar Berdymukhamedov shoveled concrete into a pit laid with rebar to officially kickstart construction. According to the government schedule, the work will be completed by 2023 over three phases. The first section of road, from Ashgabat to Tejen, is slated for commissioning by December 2020. The following two parts – from Tejen to Mary and Mary to Turkmenabat – will be finished at the end of 2022 and 2023, respectively. While the broader goal of such infrastructure projects is to plug Turkmenistan into larger regional transportation networks, President Berdymukhamedov’s attention has been focused primarily on its presumed benefits to the currently near-existent private sector. His sentiments were relayed by his son at the ceremony. “Turkmenistan has great confidence in and is giving support to the private sector, which is developing rapidly. This testifies to the tremendous attention being paid to the formation of a strong, competitive and socially responsible entrepreneurial sector,” Serdar Berdymukhamedov said in televised remarks. The joint-stock company appointed as the general contractor is Turkmen Awtoban, a Turkmenistan-based and ostensibly privately owned concern that operates under the umbrella of the Union of Industrialists and Entrepreneurs of Turkmenistan. This latter body defies clear characterization – it is, on paper, a business lobby group, but it really acts more as a parastatal holding group with interests across a fast-broadening area of the economy. More exactly, it is Berdymukhamedov’s key ingredient in his recipe for creating a mixed economy. And where is Turkmen Awtoban – which appears to have been created from whole cloth for this highway – getting the money to complete the project? The Central Bank is providing the funds under a 20-year loan agreement at 1 percent annual interest. That is about all that is known of the loan agreement. State media reports on the Ashgabat-Turkmenabat road have mentioned figures in dollars, a currency whose value is assessed variously in Turkmenistan. The official rate is 3.5 manat to the dollar, but the more realistic rate offered on the black market is currently around 18 to the dollar. As some of the televised shots of the January 25 ceremony revealed, much of the equipment, produced by the likes of Switzerland’s Liebherr and Britain’s JCB, has been imported. The Central Bank’s fanciful valuation of the manat will accordingly be little help. If the $2.3 billion figure is taken at face value, it would appear that the Turkmen government is sparing no expense. A back-of-the-napkin calculation puts the cost of building the road, across territory that is harsh but almost entirely absent significant elevations, at almost $4 million per kilometer. That is roughly the same as it costs to build a highway in places like Western Europe and the United States, where labor is significantly more expensive. 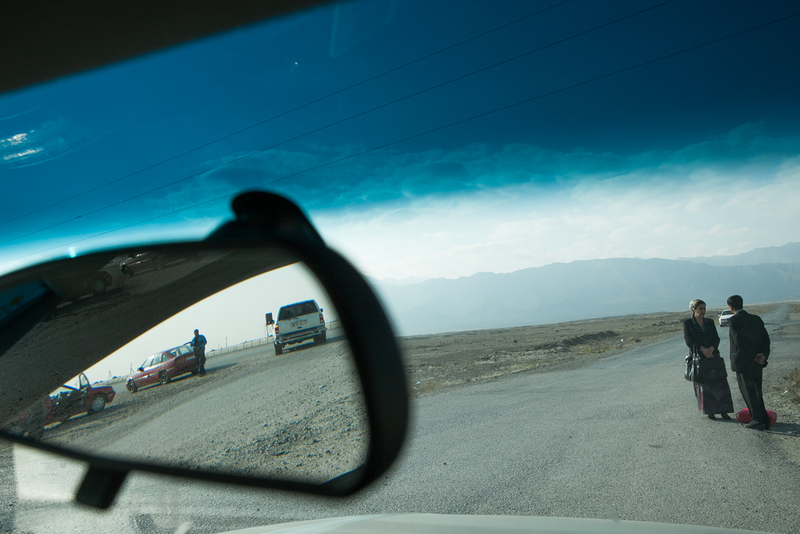 The businessmen running Turkmen Awtoban should as a result make a considerable killing out of the highway. There is profit to be made not just from construction but also from the tolls that motorists will have to pay once the road is completed. 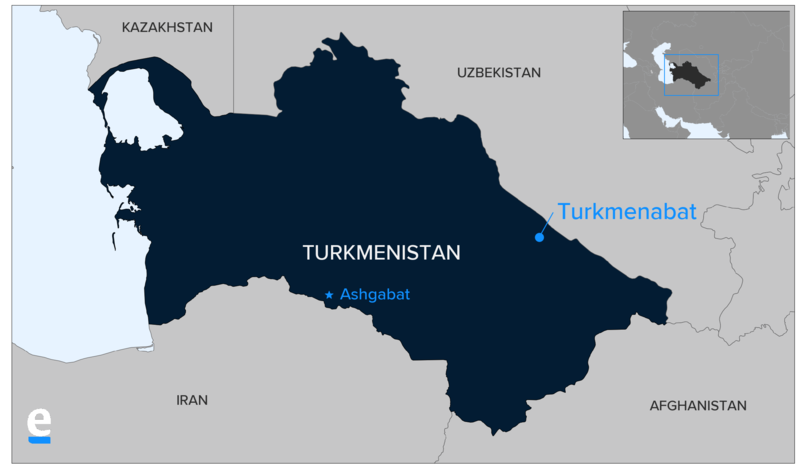 Beyond its references to the Union of Industrialists and Entrepreneurs of Turkmenistan, state media provides no information as to who is behind the company. The fate of other transportation projects is not encouraging. Polimeks, the Turkish contractor given the job of building another part of this giant infrastructure puzzle – a highway running from Ashgabat to the Caspian Sea – has reportedly suspended work over unpaid bills. Even Berdymukhamedov had to admit, at a Cabinet meeting in October, that the expensive Caspian Sea port he launched in Turkmenbashi last year has been sorely underperforming. The appearance of new highways could help that seaport’s fortunes, but only if Turkmenistan undertakes serious efforts to ease the process of transiting goods through its territory. Luca Anceschi, a lecturer in Central Asian studies at the University of Glasgow, said his research indicates that Turkmenistan has failed to capitalize on its potential as a hub for goods traveling from east to west. “Turkmenistan could be connecting the Chinese economy with the Gulf via Iran, but my research on Gulf-Central Asia relations [shows] that this is not happening. So the economic rationale of this freeway remains opaque, to say the least,” Anceschi said in written comments to Eurasianet.